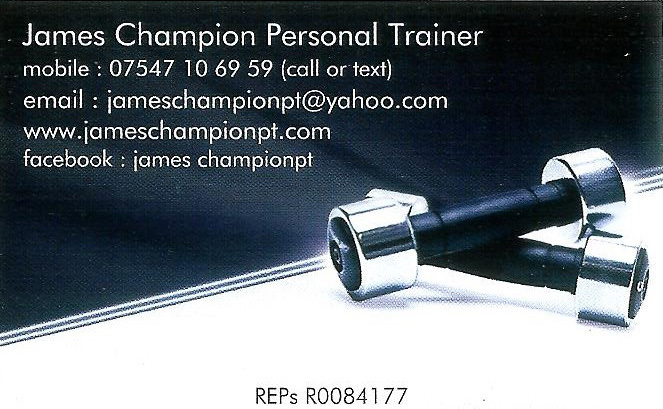 Personal Trainer Felpham Hi, my names James I am based in Felpham,West Sussex. I am a fully qualified personal trainer, I offer one to one personal training sessions, group training sessions, nutrition advice & weight management. the initial consultation is free so I can meet you & you can meet me, I can assess your needs & together we can work out an exercise prescription to meet & exceed your goals. I can come to you as long as you are in West Sussex, or you can come to me or we can meet somewhere in between.